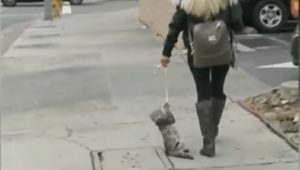 Authorities are looking for information about a woman caught on camera dragging a cat by the neck for several blocks. The woman tasered a bystander and fled. 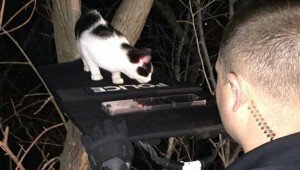 Two officers came across a cat stuck in a tree. With some creative thinking, they used a shield and the laser from a taser to lure the cat to safety.